This shop has been compensated by #CollectiveBias and its advertiser. 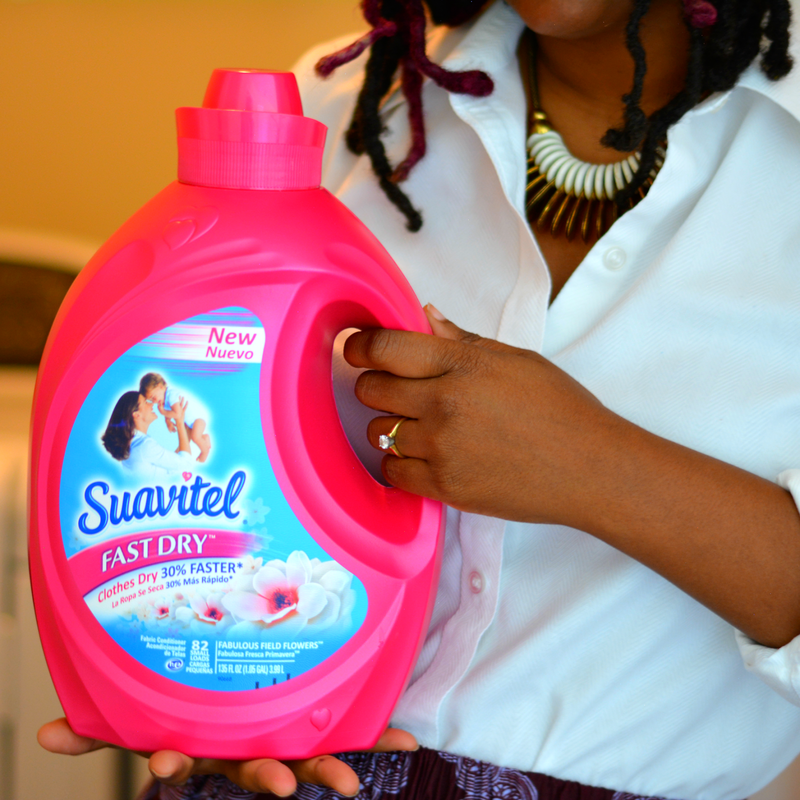 Suavitel #FastDrySaveTime opinions are mine alone. 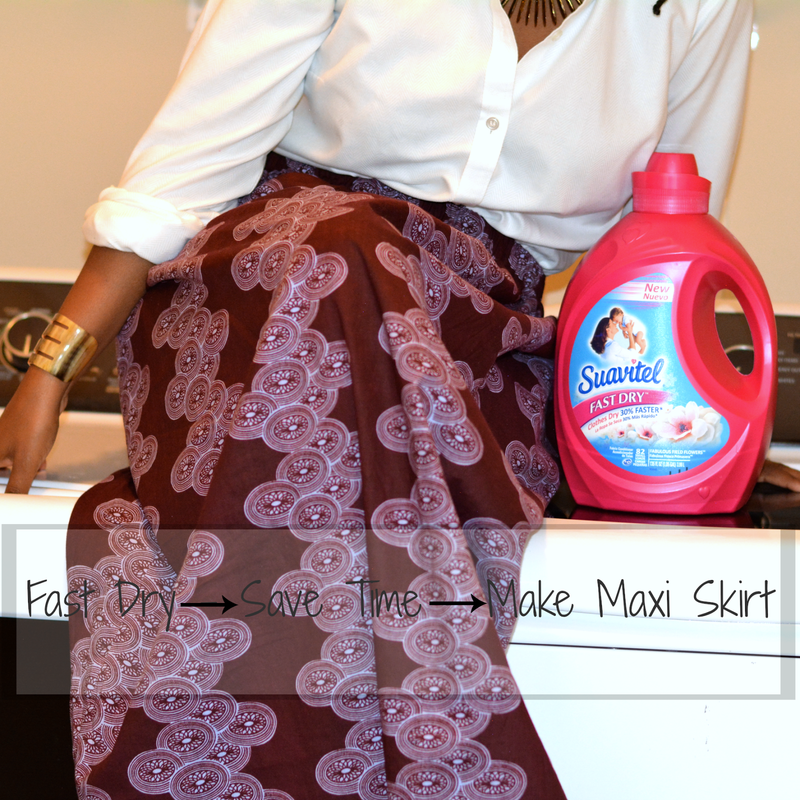 Thanks to Suavitel's new fabric softener, I got my sewing mojo back! You already know of my struggle to get back to sewing. There never seems to be enough time to squeeze in a project with all the other duties of the day plus thrifting. On a recent thrifting adventure. Seriously, it was an adventure. I traveled far from my side of town for the sake of finding treasure. I picked up a few items we will explore in depth later. 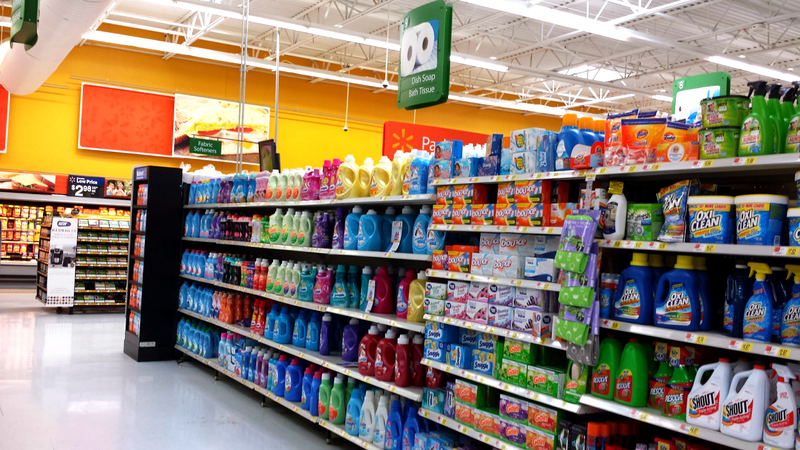 On the way back, I stopped at Walmart and something different caught my eye in the laundry aisle -- the pretty pink bottles of Suavitel Fast Dry. It's a fabric softener that wicks water away from fabric to help clothes dry up to 30% faster. You save on energy and time. Extra time means more time with family and friends, more time thrifting, or maybe even a jumpstart to your favorite hobby. Such is the case with me. I got my sewing mojo back! Saturday night usually involves a movie and a load of laundry. After putting a load in, I walked past my fabric stash still in a moving box. A lovely ankara print was peeking out just begging to be worn. 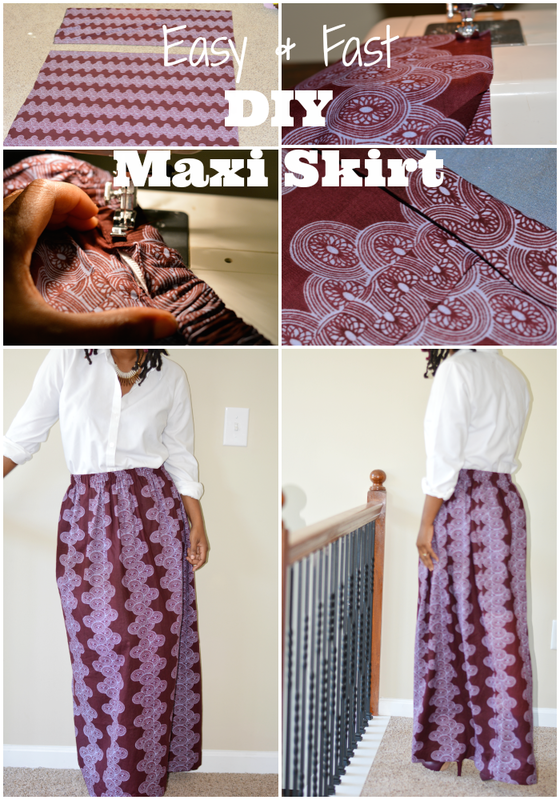 Because of the beautiful design, I knew it had to be a maxi skirt. No pockets, zippers, sewing pattern. Only a basic knowledge of sewing is needed. It's basically sewing a square to a rectangle so I knew it was something I could knock out without losing steam. Cut fabric in half on the crosswise grain. Fold one of the pieces in half and cut on the lengthwise grain. Sew one of the half sections to the square piece matching up seam lengths. NOTE: You will only be using one of the half pieces. Make a 1 1/2" casing for the elastic. Insert elastic. Turn up raw edge at bottom and sew 1 1/2" hem. From fabric prep to finish, I was done in about 2 hours which is exactly how much time I save in a week by using Suavitel Fast Dry. 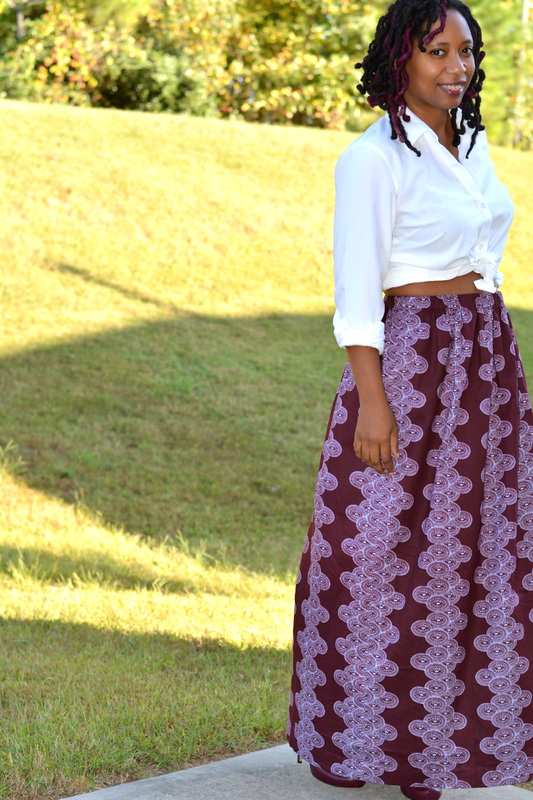 I spent less time on laundry and gained some time with my long lost hobby plus a new ankara maxi skirt. Free time that just keeps on giving! Linking up with the lovely ladies of Monday Mingle, Thrifters Anonymous, Thrift Sisters and What I Wore Wednesday. Nice maxi! I am such a novice sewer. I have the Husband's aunt do most of my stuff. This is great, I will have to see what I can find and dream up. What an express idea! I am SO trying this! Where'd you get your fabric? I need it in my life. How awesome! You look amazing AND you made this skirt?! Very impressive! I've tried sewing, but could never quite get the hang of it. I'm stopping by from the link-up. 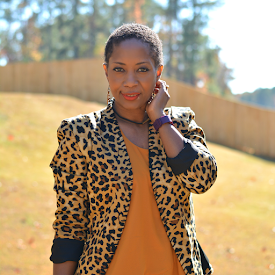 You can check out my post at http://lisabrowndesign.blogspot.com/2014/10/what-i-wore-wednesday.html :) Hope you have a great day! Clothes drying faster is an amazing idea! Also, your skirt is gorgeous - I am loving that bold print! Well done!! I need to get back to my machine, although elastic terrifies me!! Thanks for joining our Thrift Sisters Link Up! That skirt is absolutely amazing. You make me want to pull out my sewing machine. Thanks for the fun DIY tutorial.